Dispatched from and sold by KELINDO³. After Josquin's death, his fame was such that many works were, deliberately or otherwise, incorrectly attributed to him. One commentator sarcastically wrote "now that Josquin is dead, he is putting out more works than when he was alive". Adrian Willaert, arriving in Rome and finding his motet "Verbum bonum et suave" being sung in the Sistine Chapel as attributed to Josquin, on indignantly pointing out that it was actually his, found that the Papal choir, on learning that it was not a Josquin piece, declined to sing it ever again. Conversely, Castiglione reports in Il libro del cortegiano that a motet performed at the court of the Duchess of Urbino found no favour until it was discovered to be by Josquin. Imitation is the sincerest form of flattery, and only the first two works on this disc are actually by Josquin, most of the others by later composers making use of those two pieces plus two lamentations on the death of Josquin. Firstly by Josquin is his six part motet "Praeter rerum seriem", a portentous sounding composition reflecting on the mystery of the incarnation. Deriving from this is Orlando di Lasso's "Magnificat secundi toni super Praeter rerum seriem". The other Josquin work, another six voice motet "Benedicta es caelorum regina", finds itself re-used in masses by Willaert (here the Kyrie), Palestrina (the Sanctus) and Christobal de Morales (Agnus Dei), plus an expanded version of the motet adding a further six voices by Jean Castileti. The two lamentation pieces are the often performed four part motet "Musae Jovis" of Benedictus Appenzeller and the five part motet "Dum vastos Adriae" of Jacquet de Mantoue which I have only heard before on the King's Singers Richafort: Requiem - Tributes to Josquin Desprez. 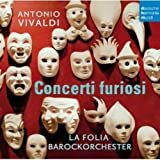 The disc is completed by a modern work by Victor Cordero which like Josquin's "Praeter rerum seriem" is based around the Gregorian melody of the same name - personally I don't like it very much; with fourteen voices it gets a bit cacophonous in parts to my ear. There are better versions of some of these works available to my mind (I wouldn't often rank The Sixteen as the best, but their recordings of "Praeter rerum serium" and Lasso's Mangificat derived therefrom on The Earth Resounds are truly superb, though I might rank this current version of "Praeter" even above that by the Tallis Scholars), but nevertheless this is an excellent demonstration of why Josquin was so admired by those who came after. The booklet supplies some brief notes plus Latin sung texts with translations. Whilst on the subject of Josquin's "Praeter", I might also mention Cipriano de Rore's Missa Praeter rerum seriem also utilising Josquin's composition. 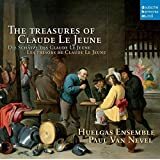 Judging from the title alone, this might at first sight appear to be a `Best of'-style sampler of the music of Josquin Desprez. Not a bit of it; rather, it's a Josquin-themed programme that is very specific in both content and purpose and, what's more, it is one of quite exceptional interest to renaissance enthusiasts. The excellent Suisse Romande-based Ensemble La Sestina, directed by Adriano Giardina, base their programme around two of Josquin's finest motets - `Praeter rerum seriem' and `Benedicta es caelorum Regina', and then proceed to illustrate the influence of these seminal works on subsequent composers, especially as it is seen through the parody procedure. The result is nothing short of magnificent. 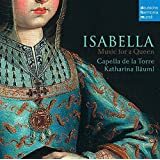 Taking Josquin's incomparable 6-voice `Benedicta es caelorum Regina', we first hear the original motet (track 2) in a quite splendid performance by this very fine-voiced and beautifully blended ensemble, singing mostly two voices to a part with female sopranos and male altos. Their treatment is deeply thoughtful, slightly more spacious than some others I have heard, and profoundly spiritual and expressive. That sequence of eight chords on the words `Ave plena gratia', which brings the first section to a close, transported me as close to Heaven as I'm likely to get, I believe. Following this same musical theme we then hear (track 4) the Kyrie section from Adrian Willaert's parody Mass on the Josquin motet; interestingly, this entire Mass, although rarely heard, has been recorded before on CD by the Cappella Breda directed by Daan Manneke on the Erasmus label - a lovely and fascinating recording which, sadly, is almost impossible to find nowadays. In the detailed and erudite booklet notes to that earlier disc, the Mass was attributed with equal plausibility to Adrian Willaert or Nicolle des Celliers de Hesdin; but, on the other hand, no mention of such doubts are made in director Giardina's excellent notes to the present CD. 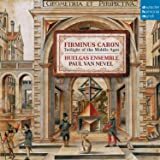 Be that as it may, the entire Mass is splendid and, in the Kyrie offered to us here, Willaert (or Hesdin) adds his own very fine harmonies and motifs to Josquin's magnificent lines in a masterly example of the art of parody. Next, Palestrina brings his own profound beauties to Josquin's arching melodic lines in the Sanctus and Benedictus of his Missa Benedicta es (7). This, too, is glorious music (also available as a complete work from the Tallis Scholars Palestrina Masses, another superb recording), moving a little farther away from the Josquin model than does Willaert - and this trend again continues with the Agnus Dei from Cristóbal de Morales' 4-voice Missa Benedicta es (also available, Morales: Assumption Mass). This latter work is in fact largely a parody of Jean Mouton's eponymous motet (which I do not know, however) rather than of that of Josquin - but with extraordinary ingenuity Morales, here in his Agnus Dei, combines his continuing Mouton parody with unmistakeable elements of the Josquin work (I hope you're still paying attention! 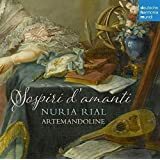 ); needless to say this, too, is not only fascinating but beautiful and, like the rest, it's all superbly performed by Giardina and his Ensemble La Sestina. A final contribution to the `Benedicta' theme comes in the form of an elaborated 12-voice version of Josquin's motet by Jean Castileti (alias Jean Guyot de Châtelet) - a world premiere recording and a considerable curiosity which I greatly enjoyed, including the distinctive descant to the final chords, although no-one would claim that the work's twelve voices somehow make it twice, or even half, the equal of Josquin's original (track 9). 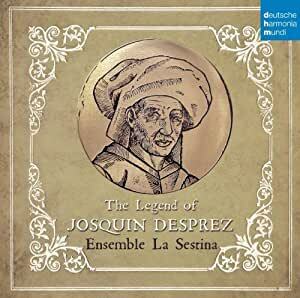 Josquin's other motet, the 6-voice `Praeter rerum seriem', opens the disc with La Sestina's characterful voices producing clear, finely balanced textures and impeccable intonation, again at a slightly broad tempo than is common and with an unmistakeably spiritual, devotional quality. This is then parodied in Orlando di Lasso's 6-voice alternatim `Magnificat secundi toni super Praeter rerum seriem' (5) which, after the initial antiphon, opens with arresting references to Josquin's work from the very beginning, but considerably expanded and enriched - perhaps even more magnificent in scale and texture, although who's to say that this would make it better than `Josquinus incomparabilis'? What it does do, though - for me at least - is to bring fresh insight and enhanced appreciation of Josquin's model. To complete the programme, we also hear Benedictus Appenzeller's lament on Josquin's death, `Musae Jovis' (3); Jacquet de Mantua's `Dum vastos Adriae', a homage to Josquin quoting from no less than five of his motets (8); and finally a short 14-voice `Premier chant' by contemporary composer Victor Cordero, taking `Praeter rerum seriem' as its starting point. I know nothing of modern music, so I can only say that this latter sounded not too bad to me. This, then, is an unusual, enlightening and altogether quite marvellous programme of renaissance sacred music. The singing is superb, Adriano Giardina's direction is inspired and beautifully judged throughout, and the recorded sound - in the Katholische Kirche, Seewen, Switzerland - is splendidly clear and atmospheric. Finally, I must add a note of apology for the length of this review - especially to my personal stalker, whom I appear somehow to have acquired in recent weeks. This enthusiast, in spite of considering my early-music reviews (quite rightly, let's face it) to be absolute rubbish, has been regularly seeking them out, bravely going through the painful process of reading them, and invariably awarding them an `unhelpful' vote at the end. Keep up the good work, Mr. Troll! Next, Palestrina brings his own profound beauties to Josquin's arching melodic lines in the Sanctus and Benedictus of his Missa Benedicta es (7). 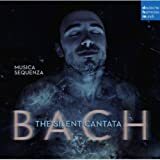 This, too, is glorious music (also available as a complete work from the Tallis Scholars Palestrina Masses: Missa Benedicta Es, another superb recording), moving a little farther away from the Josquin model than does Willaert - and this trend again continues with the Agnus Dei from Cristóbal de Morales' 4-voice Missa Benedicta es (also available, Assumption Mass). This latter work is in fact largely a parody of Jean Mouton's eponymous motet (which I do not know, however) rather than of that of Josquin - but with extraordinary ingenuity Morales, here in his Agnus Dei, combines his continuing Mouton parody with unmistakeable elements of the Josquin work (I hope you're still paying attention! ); needless to say this, too, is not only fascinating but beautiful and, like the rest, it's all superbly performed by Giardina and his Ensemble La Sestina. A final contribution to the `Benedicta' theme comes in the form of an elaborated 12-voice version of Josquin's motet by Jean Castileti (alias Jean Guyot de Châtelet) - a world premiere recording and a considerable curiosity which I greatly enjoyed, including the distinctive descant to the final chords, although no-one would claim that the work's twelve voices somehow make it twice, or even half, the equal of Josquin's original (track 9). This, then, is an unusual, enlightening and altogether quite marvellous programme of renaissance sacred music. The singing is superb, Adriano Giardina's direction is inspired and beautifully judged throughout, and the recorded sound - in the Katholische Kirche, Seewen, Switzerland - is splendidly clear and atmospheric.